Once you are happy with your balloon's movement and it really moves like a balloon, it time to add a little something called "Follow Thru". You have hopefully learned how to inbetween from Key pose to pose for the balloon, but now its time to animate using the Straight ahead method by animating a string on a balloon. 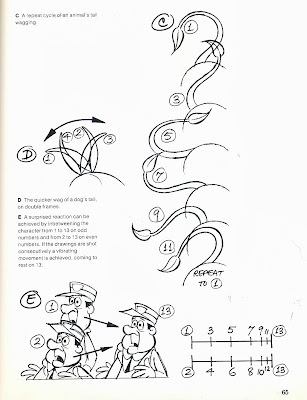 from Timing for Animation by Harold Whitaker and John Halas. 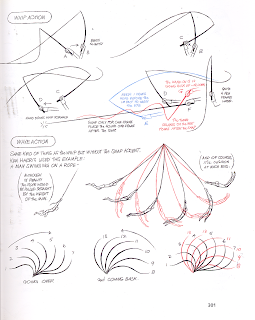 Here's what Richard Williams has to say about animating a whip or wave action. 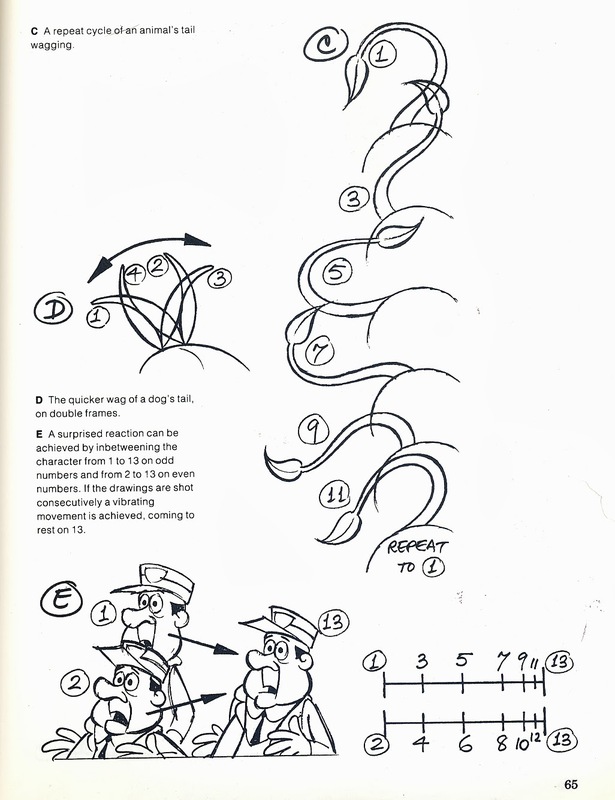 These examples may be a little extreme to use for the tail, but you can adjust your string drawings by restricting the amount of movement. Once you are tested the string motion, you can redraw the string positions on each balloon, when its flying along. The tail or wave action can be repeated over and over in a cycle. 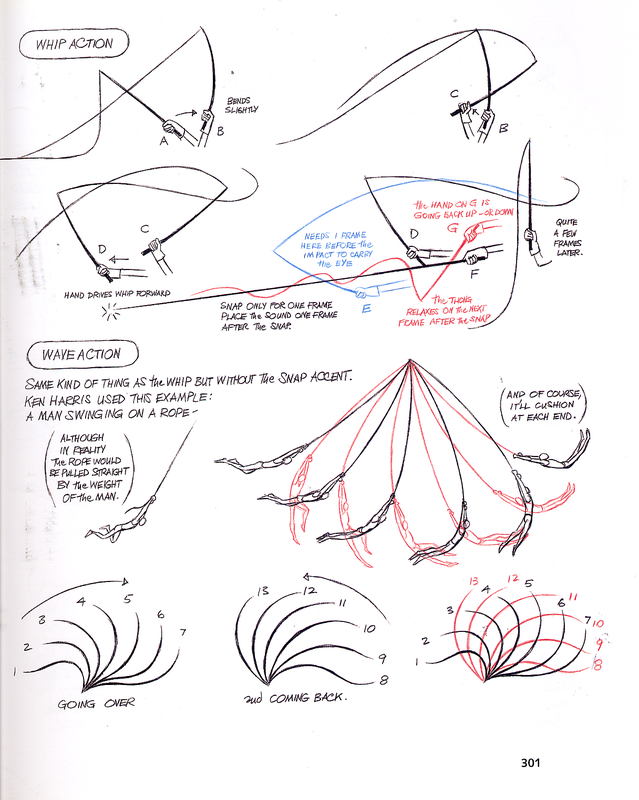 Here is a demo on how to draw a wave action for a balloon string. Again if the motion of the string is too broad, you must reduce the distance the string travels. Let me know if this is helpful or not. BalloonString from Toondini on Vimeo.